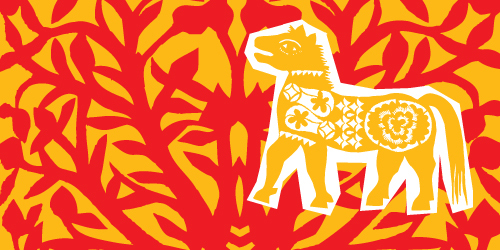 We know that Lunar New Year is a very big deal for many of our students, faculty and staff, our alumni both here and throughout Asia, and most certainly for many of the residents that live in the UBC neighbourhood. It’s one of the few times in the year where families separated by great distances make the effort to be together, at least over some kind of video on the Internet. For many, it’s much bigger than Christmas and the Gregorian New Year. Although commonly referred to as “Chinese New Year”, in being the new year for so many distinct cultures, it is one of the most significant intercultural celebrations around the world. It is a great opportunity for us to grow our cultural literacy in the range of traditional practices amongst various Chinese communities (and families)—in and/or from Mainland China, Taiwan and Hong Kong, for example. It’s also an opportunity for us to become more familiar with Seolnal, the Korean New Year, and Tet, the Vietnamese New Year. Until 1873, Lunar New Year was also officially celebrated in Japan. The big event in Vancouver remains the annual Chinese New Year Parade, which brought together 50,000+ spectators in Vancouver’s Chinatown this past Sunday. If you were there, we’d love to see your pictures. But there are at least seven other major events in Vancouver, a few run this week including LunarFest Vancouver 2014 and Vancouver Dumpling Festival 2014. Earlier today, the Institute of Asian Research held it’s annual Lunar New Year Celebration in the CK Choi Building, and this coming Friday the Department of Asian Studies will be hosting its 11th Annual Chinese Lunar New Year Celebration. I hope everyone at the Vancouver campus has an opportunity to attend. I would also like to thank all those who have volunteered their time and energy to give all of us the opportunity to celebrate the Year of the Horse as a community. If the traditions are new to you, we’ve posted links to Chinese, Korean, Vietnamese and Japanese New Year traditions on the UBC Intercultural Understanding Blog: blogs.ubc.ca/interculturalu/ (we’d love to hear about your family’s unique Lunar New Year traditions). Second-year and Arts Internship Program student Kitty Ku, has written about her Taiwanese family’s traditions, with links to New Year greetings in Mandarin, Cantonese, Korean and Vietnamese on Schema Magazine. Why is Year of the Horse significant? Or how might it be meaningful to you? Well, first of all, 2014 in the Chinese zodiac is supposed to be especially lucky for those born in the Year of the Horse (2002, 1990, 1978, 1966, 1954, 1942, 1930). The meaningfulness of the horse in traditional Chinese culture is also shared amongst many cultures. As a strategy person, I especially like the idea that horses were symbolic of great advantage, particularly in combat; hence the commonly used phrase in English, “The cavalry is on the way.” Their lending of agility, strength, speed and more strategic view of the horizon have made horses game changers through history. With that, I wish you and your family (including your extended family on campus) much health, prosperity and good fortune, and that 2014 also be a game changing year for you, your wellbeing, learning, teaching, research, strategic plans, fundraising, culture changing and community building for 2014. This entry was posted in Announcements, Commentary, Events, Students, 中文 by annawong. Bookmark the permalink.